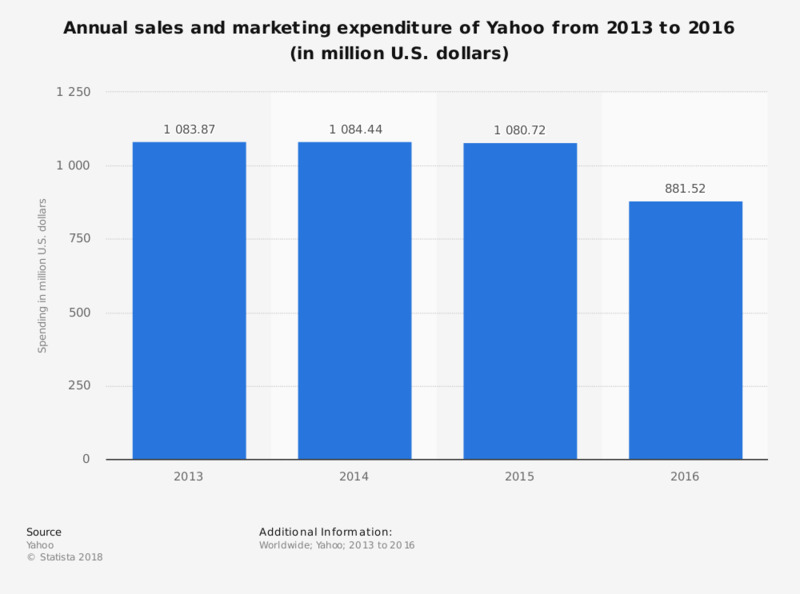 This statistic displays the annual sales and marketing expenditure of Yahoo from 2013 to 2016. In the most recently reported year, the online search and content platform spent over 881.5 million U.S. dollars on sales and marketing. Sales and marketing expenses accounted for 17 percent of revenues for that period.